Thanks, Liz! That’s the idea! Stay tuned for more tantalizing posts. You’ll really like the next one! Oh, Doreen ~ I’ve just realized that exactly two years ago we were in Brussels basking in the glow of these terrific chocolatiers. Such sweet memories, literally! I think Laurent was one of my favourites. Remember how he was just setting up his new shop but invited us in with such warmth? Hi, Kathe. Yes, how could I forget the maiden voyage of Chocolatour? It was great fun, and so educational, learning how the small operators do things compared to the larger ones. This has been such a journey of discovery for me and it was wonderful having you share the experiences for Belgium, France & Switzerland. 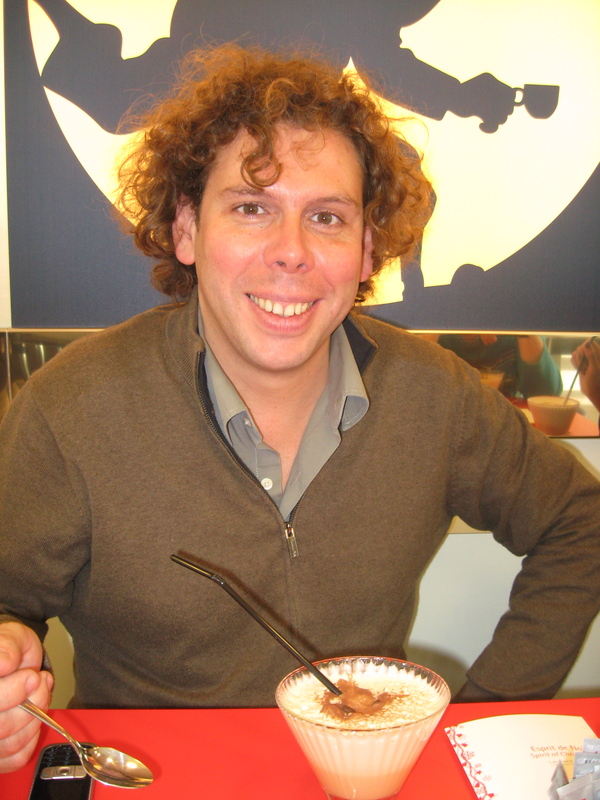 Of all my travelling companions/tasters to date, you are the only one who never flinched at “just one more chocolate.” You truly are a trooper, and yes, Laurent is totally charming. I’m hoping to see him when we launch the book in Belgium. Be sure to join us here again in 2 weeks when we’ll share memories of Mr. Galler. Thanks for reminding us to try and taste chocolate from different parts of the world whenever possible. They all have their “sweet” advantages. Thanks, Christine. And yes, cocoa beans from various parts of the planet have a very distinct flavour that differentiates them, just as grapes from various part of the world create unique and distinct vintages. And in turn, different parts of the world process their cocoa beans differently, which results in different textures and flavour nuances in chocolate created from the same beans (grown elsewhere.) It’s a complex, but very tasty world! Thanks for subscribing to the blog, Amberr, and for your comment. Once you’ve hung around here awhile, you’ll learn that there is quite a difference between various chocolates. Some are so good they make you squeal. Others … you’d wished you’d not taken in the calories. Hope to see you here again at the end of the month when I’ll introduce you to the King of Chocolatiers! Thanks for your comment, and for joining us here in our discovery of chocolate. Thanks for joining us on the Chocolatour, Adeline! Yes, there will be many more adventures forthcoming. Come to think of it … I don’t think I’ll ever finish tasting the chocolate of the world! Looks like this will be a lifelong project! My husband is Belgian and will never let me say that Belgian is not the best in the world… fortunately I agree with him! 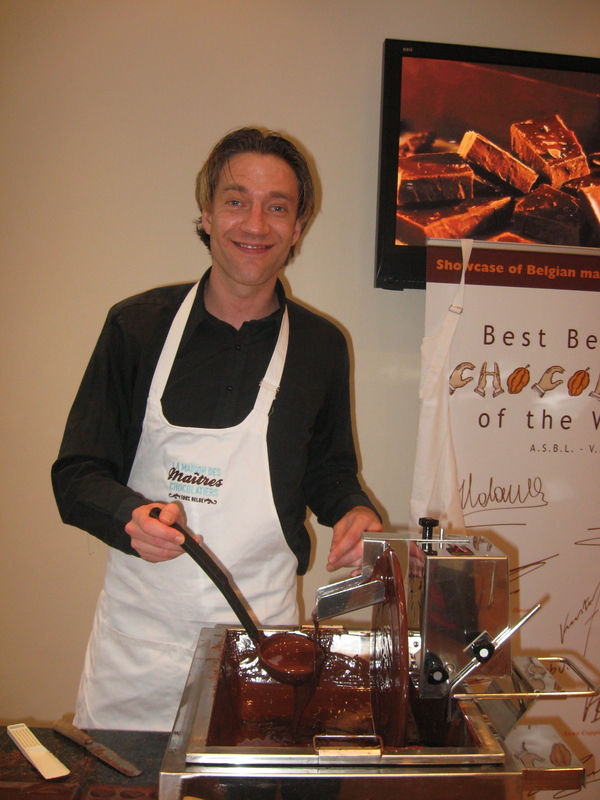 Thanks for this lovely insight into the wonderful world of chocolate making in Belgium. Thanks for the comment, Natasha! 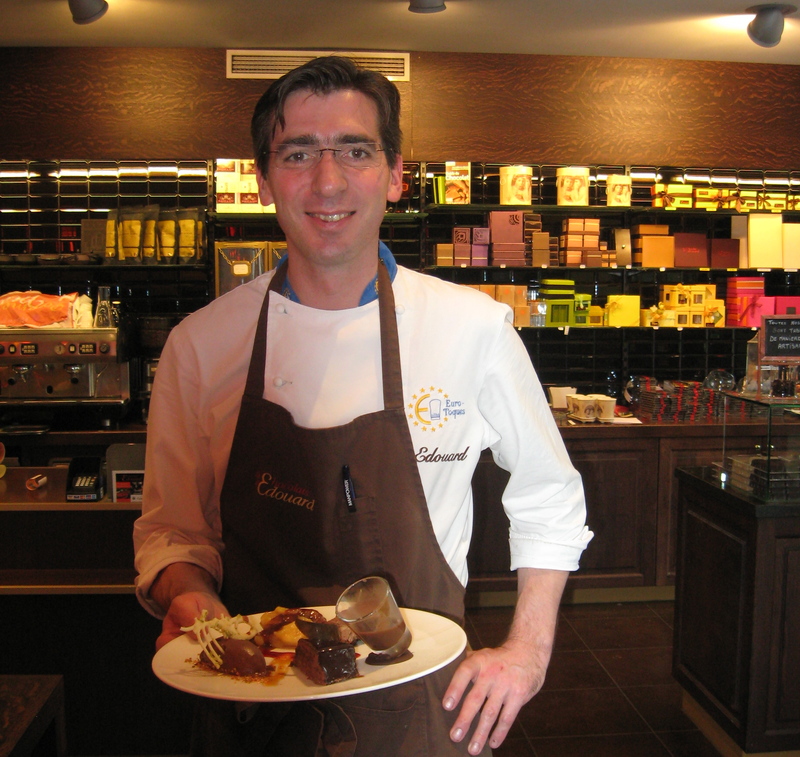 Please drop in again tomorrow, when I will introduce you to one of the best, and definitely the most sophisticated man of chocolate in Belgium! OH, now you are talkin’ my language. European chocolate is just the most fantastic thing on earth. That suitcase filled with chocolate just speaks to my heart! Yeah, I know, I write a health care blog. We all have a weakness here ad there ya know! Jana, that is such a wonderfully generous gesture! Thank you SO much. I have responded to you by e-mail. It is only thru tips from readers such as you that I discover some of the smaller shops in small centres I would not otherwise know about. I will definitely try and get to Leavenworth, WA over the next year. I’ve heard of Leavenworth, TX, but never of Leavenworth, WA. So many places to discover. And so many chocolates to try! Thanks for joining us on the Chocolatour. Please remember to subscribe so that you don’t miss a tantalizing post! Thanks for your post on my blog! Yours looks fantastic!! I hope to keep checking back in here regularly for all that you have to share! Thanks again!! Good luck!